Extra Skills Supplemental training for U8, U9, and U10 players. The trainings take place at the Grace Church Middle School gymnasium. 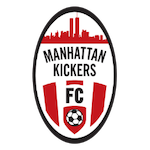 Check out this Soccer camp 'Extra Skills - Spring - Friday 6:30 to 8:00 PM' with Manhattan Kickers FC!